It's not as dirty as it looks. When a foreign entity like that of a Symbiote, Body Snatcher, or even a Hacker (when regarding machines like robots and computers) enters/outright hijacks a body, the possessed subject is called the Host, while the possessing subject is the Guest (taken from the terminology used with parasites). The basic purpose of the host varies on what the point was for it to have been hijacked in the first place. Sometimes it's used as a disguise, other times it's used as a decoy and distraction, even simply being a weapon or piece of armor that the possessor uses to cause sheer chaos and destruction. And then, sometimes... a host can be used for titillation. For details on the passive/aggressive relationships a Host can have with its "Guest," view The Symbiote. Has absolutely zilch to do with The Host. Truth in Television for many people who believe it is possible for a Spirit Medium to be "hijacked", or more often, invite one or more "guests" in as a Willing Channeler. Some host/spirit-guest relationships coexist in friendly association, and can last for decades similar to a Split-Personality Team. An uninvited but harmless or beneficial "hijacking" guest is called a "walk-in"; this can happen with mediums or ordinary people, often after a life-threatening event. Big Dumb Body - A host with little intelligence, but is desirable for its physical prowess and durability. Demonic Possession - when the "guest" is a demonic or other supernatural entity. Empty Shell - A host that's without resistance from being taken over. Familial Body Snatcher - when someone takes over the bodies of their own relatives. Grand Theft Me - when someone enters someone else's consciousness and tries to wrest control from within. Haunted Fetter - An inanimate object or place that is possessed by a ghost/spirit as a way of binding itself to the realm of the living. Haunted Technology - A machine with a ghost/spirit in it! Heroic Host - A host with a Super Hero Origin of getting their super powers from their guest. 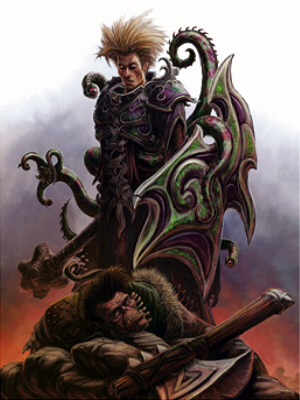 Kill the Host Body - Killing possessor and host together. Living Bodysuit - A host is chosen as a disguise by the guest for reasons of secrecy and espionage. Meat Puppet - A biological host, controlled by the guest. New Body, Old Abilities - No matter the body of the host, the guest can use their old abilities. Planetary Parasite - An entire planet is the host of a guest who needs to reproduce. Possessing a Dead Body - A dead body that is reanimated by an inhabiting spirit. Possession Burnout - The side-effects of straining the host. Powers via Possession - Possession by the guest grants the host "powers" or "abilities". Raised as a Host - An individual is conceived, born and raised for the purpose of being taken over. Seeing Through Another's Eyes - The guest is using the senses of the host. Symbiotic Possession - The relationship between guest and host is friendly; something like that of roommates. Two Siblings In One - When a sibling lives on within you... literally. Wetware Body - A biological body host has a computer as the guest. Wetware CPU - A computer host has the mind of a (once) living creature as the guest. Willing Channeler - A host who wants to be controlled, or at least isn't against having his/her body used by an outside party.